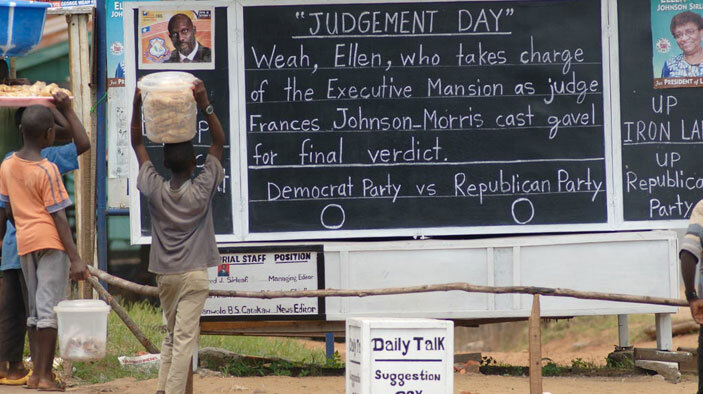 Since 1979, chronic instability has plagued Liberia. Peace was restored in late 2003 when warring factions signed a Comprehensive Peace Agreement, and in January 2006, President Ellen Johnson Sirleaf was inaugurated, marking the end of the transition to peace and the restoration of democratic self-rule. The DAI team worked with the new government to increase legitimacy, strengthen public sector management, and promote policy and institutional reforms. In addition, DAI built concrete and positive communication channels and relationships between the citizens and their state institutions. Strengthen the newly formed government’s ability to govern effectively and respond to the public’s needs. Broaden civil society’s participation in the political process. Administered approximately 100 grants to Liberian nongovernmental organizations. Mobilized Liberian, West African, European, and North American expertise to assist the government and civil society to build sustainable institutions—inside and outside of government—to consolidate Liberia’s embrace of democratic governance, social reconciliation, and economic opportunities for its citizens. Facilitated public debates all over the country.